Heat oil in a pan/kadhai and splutter the kala jeera. to this add the potatoes and fry till potatoes are soft. 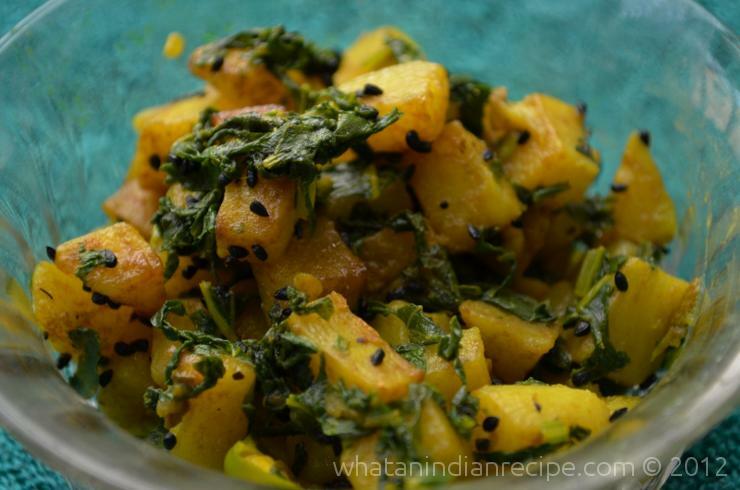 Now add turmeric powder and salt along with the chopped mustard leaves. Mix well and let the mustard leaves cook.